Full of wholefood nutrition, organic walnuts are the best natural plant source of Omega-3 fatty acids (6.3%) and also contain the highest amount of antioxidants compared to any other nut making them the "healthiest nut" in the world as stated by some scientists. Research has shown that walnuts are also heart protective and a small amount can assist with fat loss and help deal with stress. Walnuts are the ideal choice for people on the go or if you are simply passionate about consuming nutrient dense foods with lots of health benefits. 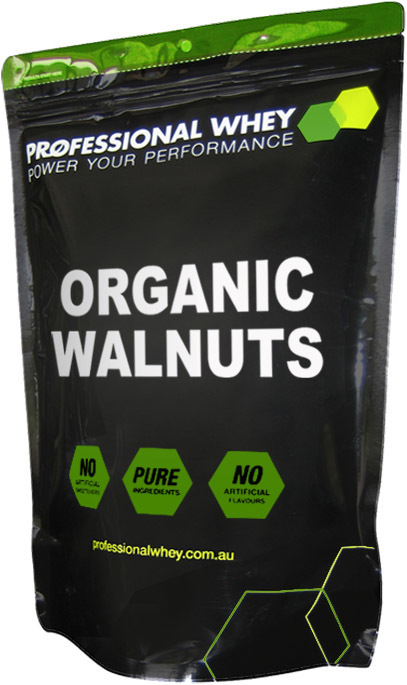 Note: If you have never tried organic walnuts they taste quite different to conventional walnuts which don’t hold maximum nutritional value. Great to snack on alone or used in combination with a protein shake or even in your favourite dish. For increased mineral absorption soak you organic walnuts overnight in water and sun/oven dry. A New Experience - All Good! I purchased walnuts, almonds, cashews and brazil nuts. Pretty much the entire range of nuts sold on here. I have never really liked or eaten walnuts before, but we are trying to learn to be healthier with our diet. I read on the website that these are high in Omega 3's and so I thought we could use that help in our diet. 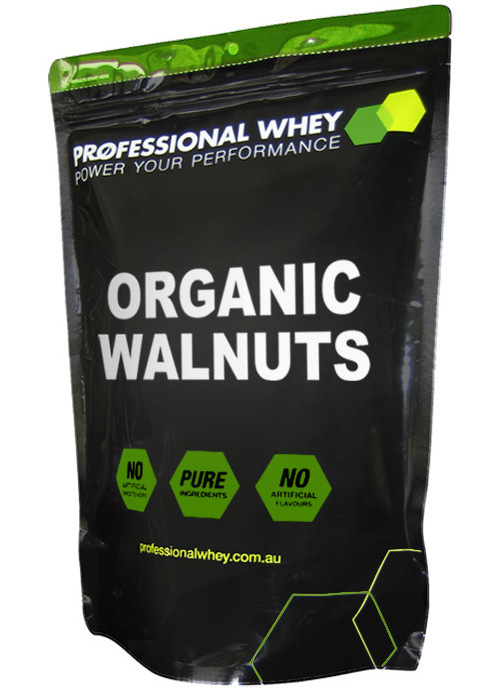 I am suprisingly learning to like them now, and I think the quality that I have eaten in the past were noto as good as these, and I have been even making nut milk from them for my protein shakes as a healthier option to milk. Because they are high in oils, they are so easier to crush with a mortle and pestle. I pop them into a Professional Whey protein shaker, add filtered water, give it a shake and then leave it to soak overnight. Next morning I then strain them with a tea strainer and I have fresh walnut nut milk for my protein shake. And it is soooo easy and nutritious! I use them for so many things but my favourite is a quick and easy healthy dessert. In a bowl I chop up a banana, with my hands I break up some walnuts and sprinkle them over the banana. Sometimes for a bit of extra sweetness I then pour over a bit of organic maple syrup. I've never been a fan of walnut - didn't like the the supermarket taste if them - so ordered these on a whim! The taste is amazing, crunchy & fresh - its hard to only have one handful!! I use them in my salads or protein bars or museli - it's a perfect boost to your superfoods!! Yummy!! Since moving to Australia, I've had a hard time finding good walnuts. I presume they don't grow well here. I've found many walnuts here are rancid or bitter, and these are neither. Fresh tasting and delicious.